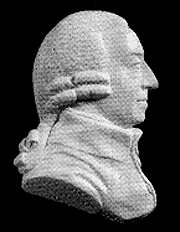 Adam Smith was a Scottish political economist and philosopher Educated in Glasgow and at Balliol, Oxford, Smith later became Professor of Moral Philosophy at Glasgow University and frequently lectured at Edinburgh. The text of some of these lectures provided the base for his hook The Wealth of Nations, published in 1776. This remarkable work, which exercised a profound influence on the political thinking of the ensuing century, advocates a simple system of political liberty in which each man should be free to pursue his own interest and bring his capital and industry wealth of a nation lay with the labor ‘that supplies it with all the necessaries and conveniences of life. In the natural course of things, he felt, the capital of a society should be devoted first to agriculture, then to manufacture and only thirdly to foreign commerce. In its brilliant evocation of the interdependencies of economic life, The Wealth of Nations laid the foundations of political economy as a discipline in its own right.